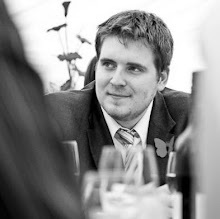 Ryan Fitzgibbon - A World of Search: Who is Tic Tac Micha? Another day and another great viral advert, complete with microsite. As I am sure you will agree, this is a very catchy advert with a 16 year-old guy that is far too talented with Tic Tacs! 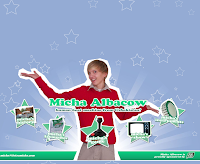 His efforts have been supported with a Tic Tac sponsored website that is fronted by Micha Albacow himself! Described as a "Human Beat Machine from Uzbekistan", Micha describes his Tic Tac Instruments and how he is travelling around the world to perform. 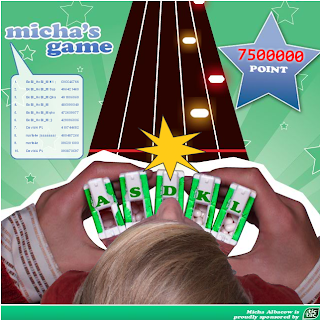 However, the highlight of the site has to be Micha's Game, which is essentially a "Tic-Tac-Flute" version of Guitar Hero that you can play using 5 keys on the computer keyboard! This is a very simple idea that I quite like. Whether this would ever appeal to the wider internet community is still to be seen. It does make me want to buy Tic Tacs and Guitar Hero, however!